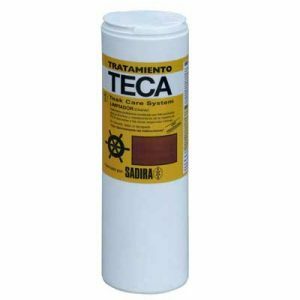 Teak Shampoo – Removes tough stains from teak and exotic woods including coffee, wine, blood and oil. 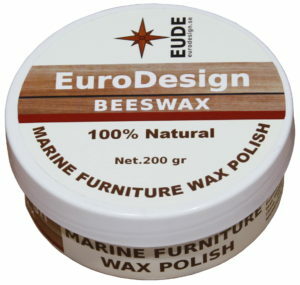 Safe and 100% biodegradable, it is gentle enough for regular use on boat decks and wood furniture. It will not bleach or discolor wood or damage seams. 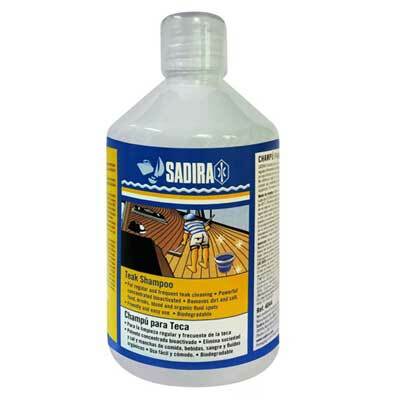 It is highly concentrated for many washing’s from a single bottle. 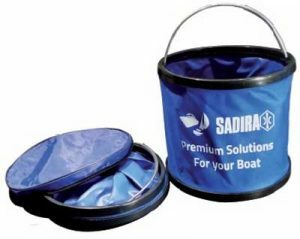 Dilute product in a bucket of fresh water according to instructions for desired strength. 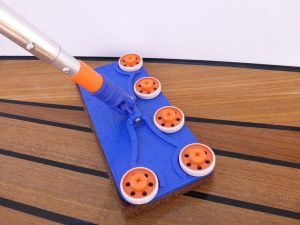 Mop the product over the deck, you may need a sort brush to remove dried wine or blood. Thoroughly rinse after cleaning is completed. For best results, do not allow the product to dry on a surface. Note: Safe when used around paint and varnish. Do not allow undiluted product to sit on a surface, rinse immediately to avoid “soap spots”.